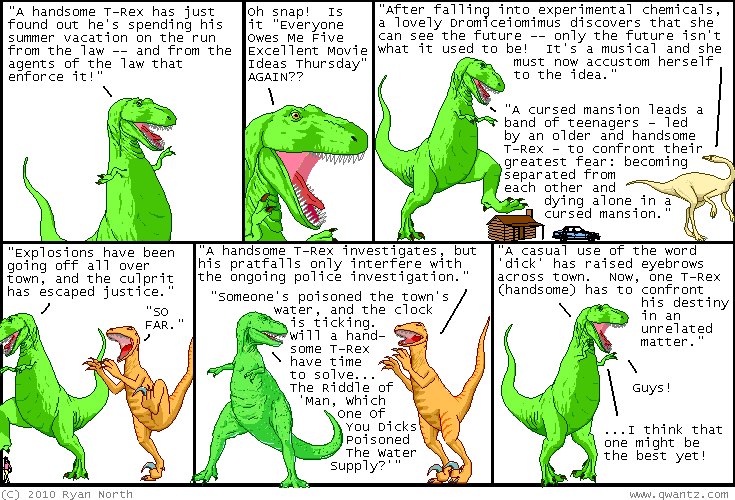 Dinosaur Comics - July 8th, 2010 - awesome fun times! –I am Down To Find (sexual partners)!! July 8th, 2010: Oh hey what time is it? It's new footer time! This summer footer is a bit different than the usual ones, and it was sent to me by Danielle Baskin, a talented lady who also made my bike helmet. I call it, "Tiny Woman's Road Trip Vacation", a name that is both descriptive AND accurate.